For the first time ever, get a comprehensive picture of your health — in 75 minutes or less. The healthcare system is designed to treat us when we are sick. Q wants to make it easier to identify signs of disease at the earliest stages, before symptoms arise — when intervention produces the best outcomes. 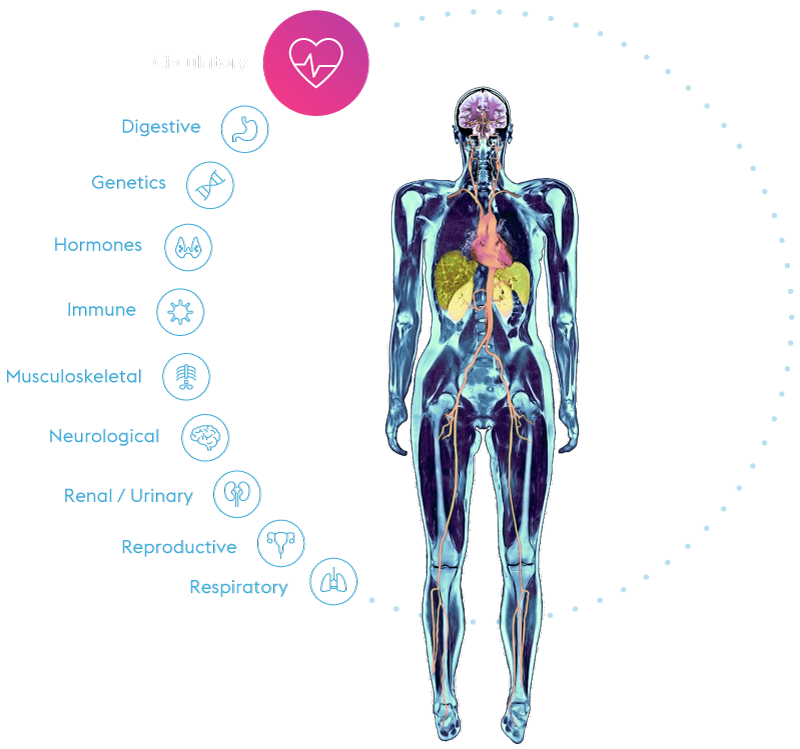 Q uses a systems biology approach called panomics to build a comprehensive, quantitative snapshot of your health by combining advanced non-invasive imaging, chemistry, genetics, vitals and your medical history. By tracking these snapshots over time, our platform identifies what is changing in your body — and how fast — in order to better understand your immediate and future health risks. 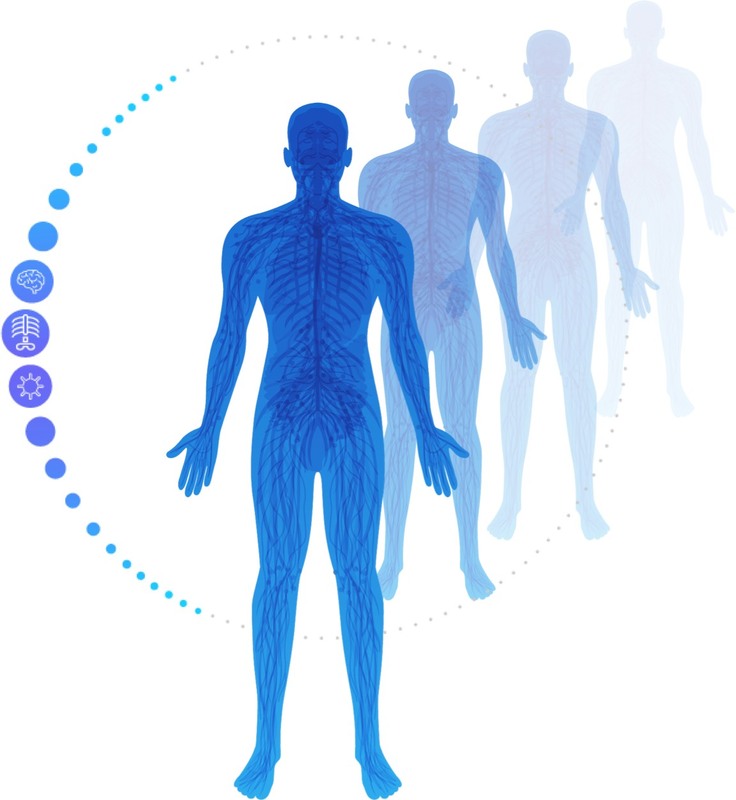 We non-invasively measure thousands of biomarkers designed to detect changes associated with common cancers, cardiac, neurodegenerative, and metabolic diseases, as well as musculoskeletal issues, and exposure to environmental toxins. An easy-to-understand summary of the health of each of your body’s systems, important changes in them, and how they affect your personal risk factors. The Q protocol is based on the iPOP study, led by Q co-founder Mike Snyder at Stanford University’s Snyder Lab. With each visit, Q adapts to your changing risk factors in order to measure and highlight the things that matter most to your health. We only track biomarkers proven relevant by peer-reviewed medical research. We continuously integrate the most promising new biomarkers. Find out more about the Q Exam and becoming a Q member. Learn how Q can help you deliver preventive medicine in your clinic.